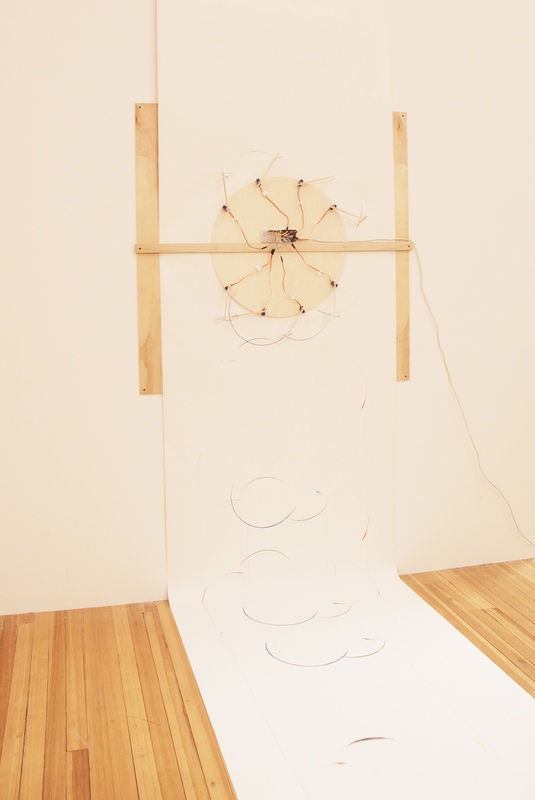 Void Draw is a performance-based installation that expresses my feelings through a drawing robot. 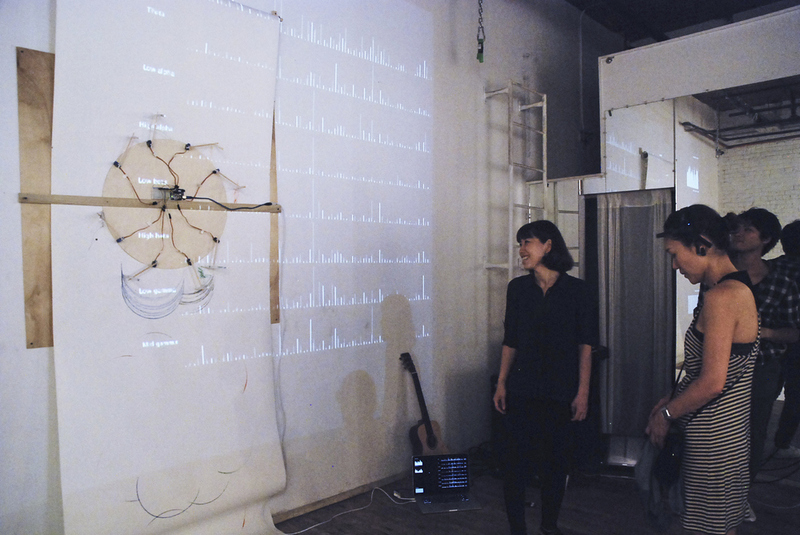 I transform my body into a cyborg—a combination of a human body and machine—by using an EEG brain headset. 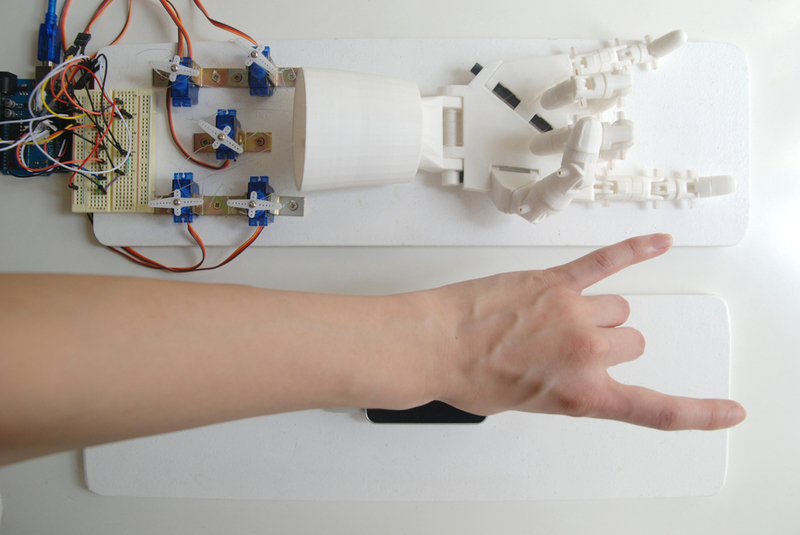 plastics, hand gestural recognition sensor, variable dimension. This work demonstrates the physical response in air, which makes it possible to control objects using my hands without touching. A robotic hand represents the physical interaction between my hands and robotic hands in air through the hand gesture recognition sensor. Hand robot InMoov by Gael_Langevin is licensed under the Creative Commons - Attribution - Non-Commercial license. matte paper, microcontroller board, 10.69” x 4” x 4”. 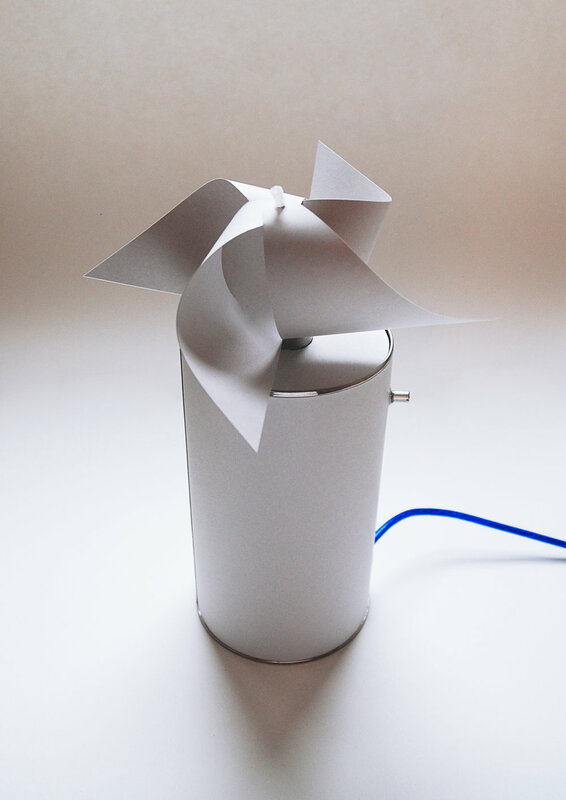 The function of winds and sounds creates two different rhythmical elements of a speaker.